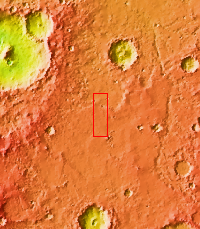 This VIS image shows Winslow Crater, a fairly young crater. 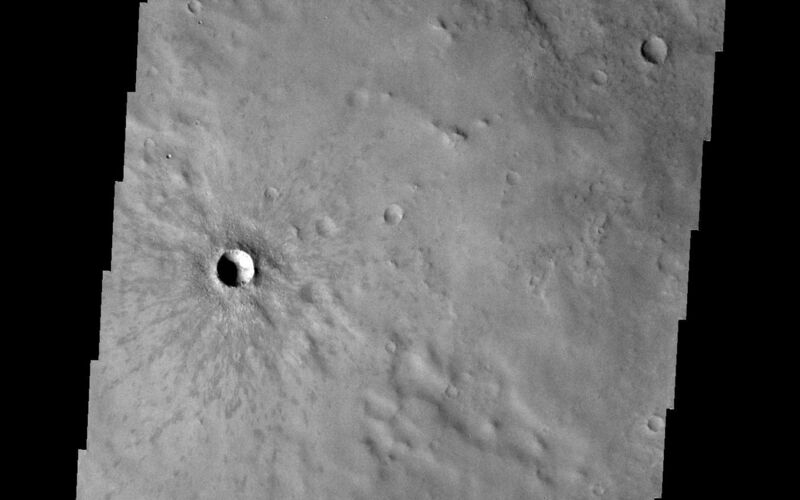 The darker rayed ejecta is still visible surrounding the crater. 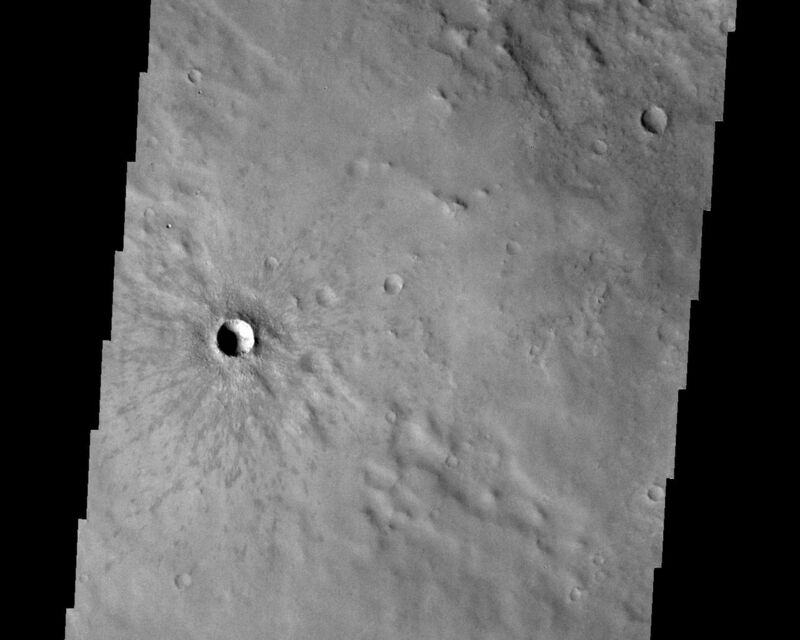 As time passes this rayed ejecta will be covered by dust and eventually will no longer be visable.